Ahead of the second phase of the Lok Sabha polls, the political campaigning and rhetoric has taken a toll in the electoral battleground and SP leader Azam Khan’s controversial remark of ‘Khaki underwear’ has been responded by BJP’s Jaya Prada. In the battle to win the poll in Rampur constituency, 9 times MLA and contesting the Lok Sabha election for the first time, Azam Khan stated in a rally that ‘main 17 din mein pehchan gaya inke niche ka underwear khaki rang ka hai,’ and it has reverted back in the den of the Samajwadi Party. 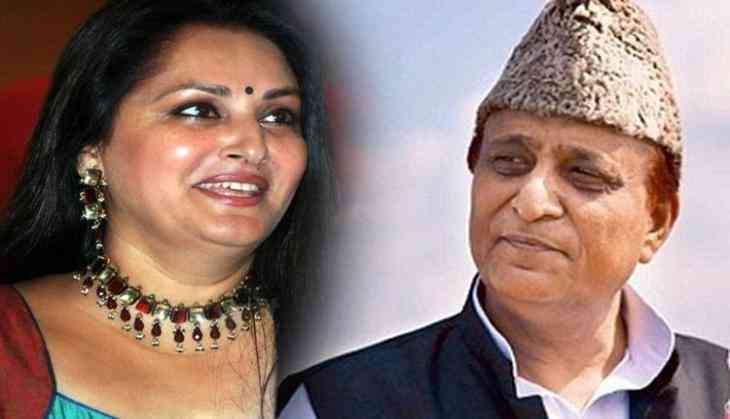 Jaya Prada, who is the BJP’s nominee from Rampur, has alleged that Azam Khan must not win the election and if he wins, then it what would happen to the women of the society. Actor-turned politician Jaya Prada had switched sides last month when she resigned from the Samajwadi Party and had joined the BJP. “He shouldn't be allowed to contest elections. Because if this man wins, what will happen to democracy? There'll be no place for women in society. Where will we go? Should I die, then you'll be satisfied? You think that I'll get scared & leave Rampur? But I won't leave,” said Jaya Prada. A notice has been served to Azam Khan regarding his remark over Jaya Prada by the National Commission for Women and the commission also said that they would be complaining in the Election Commission as well. Further, an FIR has been registered against Azam Khan over his comments made during the public rally.